Usher Dating Timeline: Is Usher Married? Usher began dating Rozonda Thomas in 2001, and their relationship lasted for two years. Thomas was a part of the ’90s girl band, TLC. The pair seemed deeply in love, and were frequently photographed together by the paparazzi. Unfortunately, the two headed for splitsville in 2003, right before Usher’s fourth album Confessions came out. Allegedly, the reason behind their breakup was Usher’s infidelity. In an interview, Thomas proclaimed that “Usher did the ultimate no-no to me…I will never be with him again, and that is that.” After the interview had come out, Usher released a statement defending himself. He said, “It just didn’t work out. But cheating is not what caused the relationship to collide and crash. That ain’t what broke it up.” Ouch! In 2004, Usher dated British supermodel, Naomi Campbell for a few months. The relationship was brief, and the couple appeared in public together at the MTV Europe Awards that year. During their relationship, Campbell allegedly even jumped out of a cake to surprise Usher for his birthday! The real reason behind the good-looking couple’s split is unknown, but it too, fizzled out quite quickly. In the past, Campbell claimed that his entourage was very controlling. Guess we’ll never know what really happened between the pair! Usher began dating the model, Eishia Brightwell in 2005 and the adorable pair went everywhere together. The paparazzi clicked pictures of the couple at several red carpet events including the Grammys, the Vanity Fair Oscar Party, and the NAACP Awards. Alas, the relationship didn’t seem to last long and fans assumed that they had broken up, after the photogenic pair was never photographed together again. Travel….. Oakland Natives here I come @ongb_official #B2SR2016 ❣???????? In November 2005, Usher began dating his personal stylist, Tameka Foster, who had worked with him for several years. Usher publicly announced his engagement onstage at the Spirit Awards in 2007. The couple wed in a civil ceremony in August 2007, after canceling their earlier July wedding in the Hamptons. The following month they threw a large wedding ceremony at the Chateau Elan Winery & Resort outside Atlanta. Usher became the step-father to Foster’s three sons from her previous relationships. The lovebirds had two children together, sons Usher “Cinco” Raymond V and Naviyd Ely Raymond. Unfortunately, the marriage came to an end, and Usher filed for divorce from Foster in 2009. What followed was a traumatic and highly-publicized custody battle for the couple’s two children. 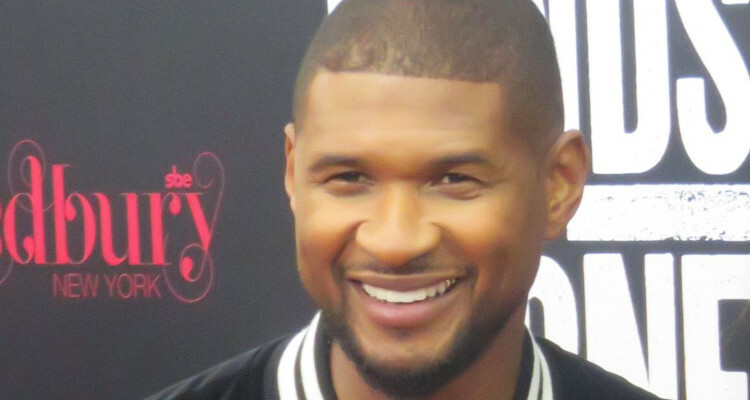 After three years, Usher was awarded primary custody of both his sons. After the untimely death of his 11-year-old step-son, Kile Glover in 2012, and his eldest son’s Usher V’s hospital scare in 2013, it seems that the heartbroken Usher finally found love with his manager, Grace Miguel. The private couple secretly wed in 2015, while on vacation in Cuba. Miguel is eight years older than Usher and worked as his manager for over three years. The two began dating in 2009, and Usher confirmed the nuptials on The Ellen DeGeneres Show. In an interview, Usher said, “I have an incredible partner and manager. She has helped me through some of the hardest times in my life and my career. She’s someone who’s been able to support and understand all of who I am. Not just as a dancer or as a performer or as a singer, but as a humanitarian and a businessman and as a person.” Awww, isn’t that sweet?